You know what’s soul-destroying? Looking at a photo of yourself and hating it. That is what’s soul-destroying. When I received our wedding photos back in 2007, I remember thinking to myself, I should have worked out harder, because I thought I looked fat. Although it was one of the happiest days of my life, I still dissected, analyzed, and scrutinized the way I looked in the photos. And you know what? It was so pointless. It was minuscule and it was most definitely a waste of time!! I no longer do this to myself. I no longer look at a photo and wish I was thinner. Because here’s the thing…those very photos – the ones I thought I looked fat in, I look back at them now and think, Oh my gosh, I was tiny. What was I thinking? Why was I so hard on myself? 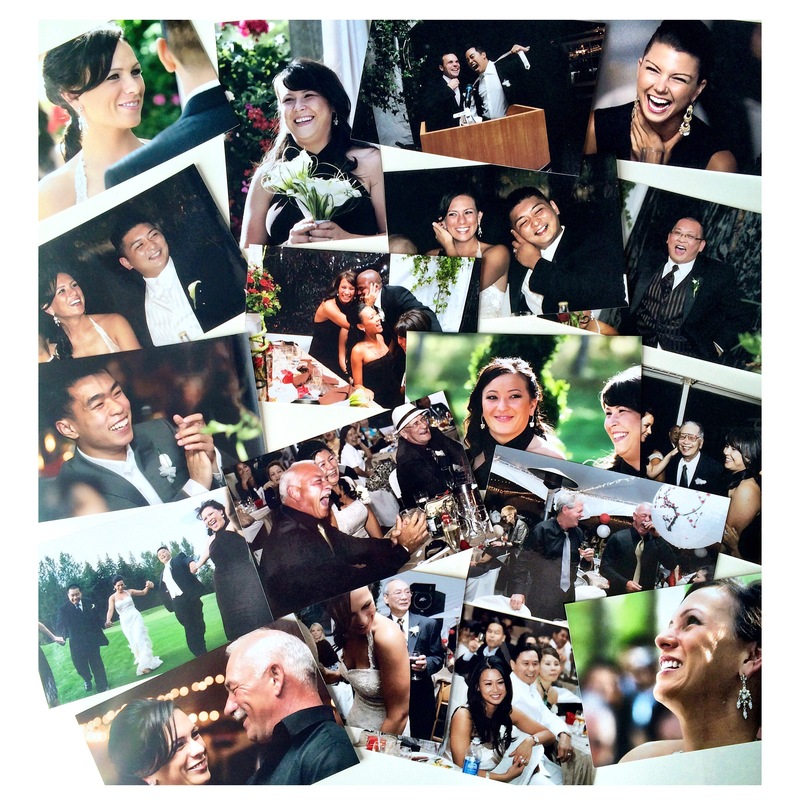 Today, I pulled out photos from our wedding and carefully looked at each one. I compiled them together and one-by-one placed them in my lap. With happy tears in my eyes, I laid them out on the table, looked at each one again, and smiled. Our wedding day was a day full of joy, laughter, and happy tears. Our families came together to celebrate our love for one another, and our bright future ahead. In essence, photos aren’t meant to make you feel bad about yourself. They’re meant to capture a time in your life, one you will never get back. Now, instead of honing in on all the details of myself in a photo, I’ve changed my perception. I remind myself that photos aren’t just about images, they’re about the memories. If you hate a photo of yourself, or would rather not be in a photo, I hope you can become more forgiving of yourself and simply smile for the camera! Because as cliché as this may sound, life is way too short to be anything but happy ( smile while you still have teeth).